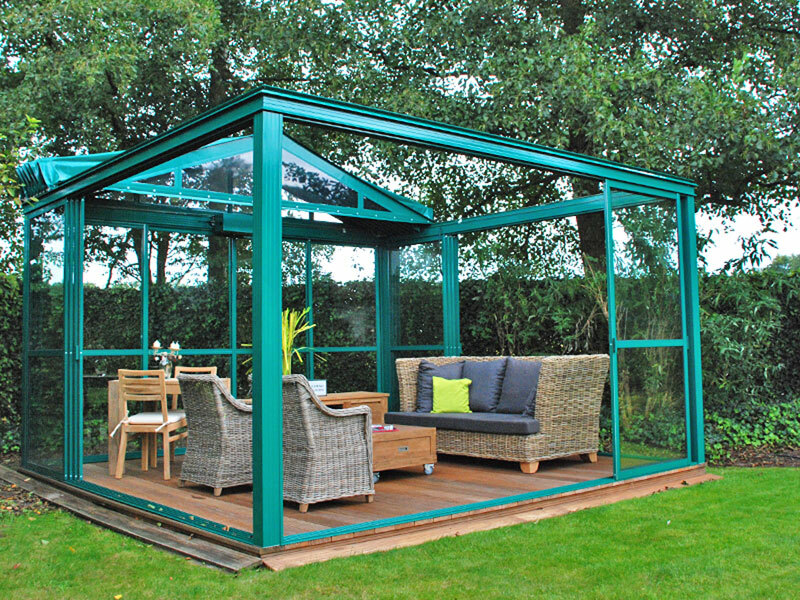 The outdoor room has a pitched roof and can be supplied with Zabra opening roofs or with roofs of corrugated plastic. Even opening roofs with insulating effect can be delivered as a good alternative to the glass roof. The oak chair, mold and which parts should be opening up to you. 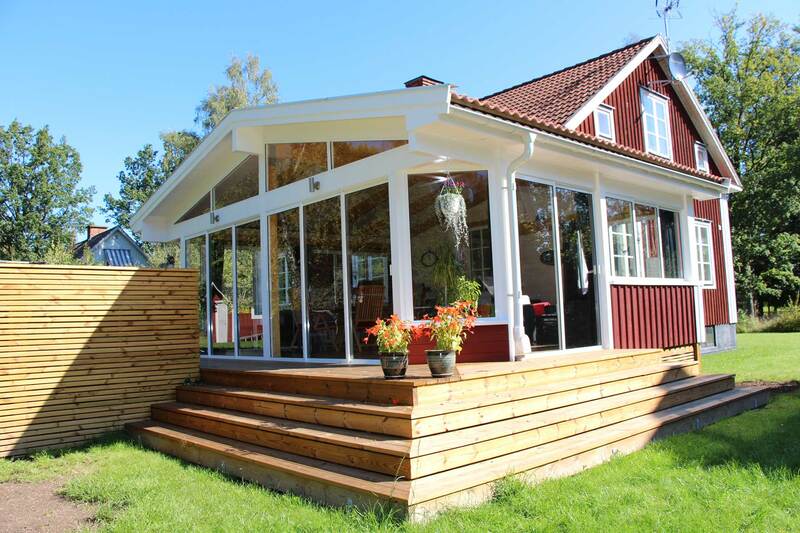 In combination with the separate sunroom can be placed anywhere and is complemented with sliding doors and conservatories you can get a windproof building anywhere where it suits you. Any sliding of conservatories and other details can be powder coated to fit the particular environment that the conservatory to be placed in. Sliding dimensions adjust and available with or without glazing bar at any height. Uterummen supplemented with sliding doors to get a windproof conservatories. 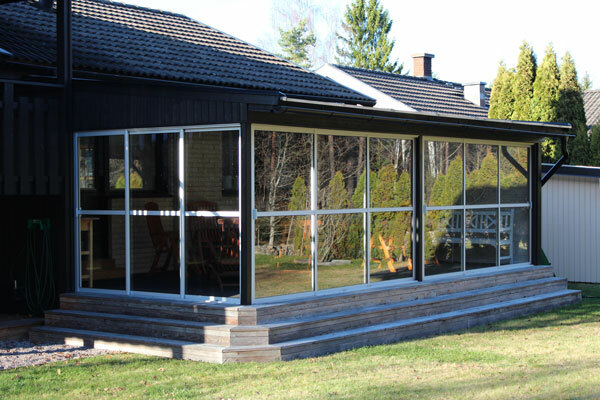 Sliding doors made to measure and can be supplied with or without glazing bar at any height. Production of tailor-made solutions for individual requirements. Unique roof that can be opened in its entirety. Possibility of opening insulated roofs with 2.2 in the U-value. Robust design that also comes to restaurants and public spaces. The construction system consists of glass partitions in a proprietary aluminum frame. 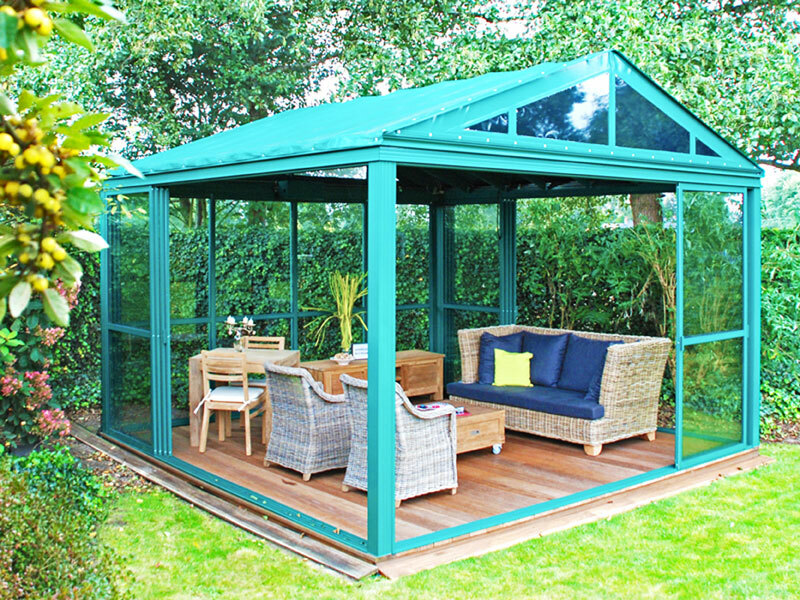 The roof is coated with a high quality durable PVC-coated fabric that is maintenance.